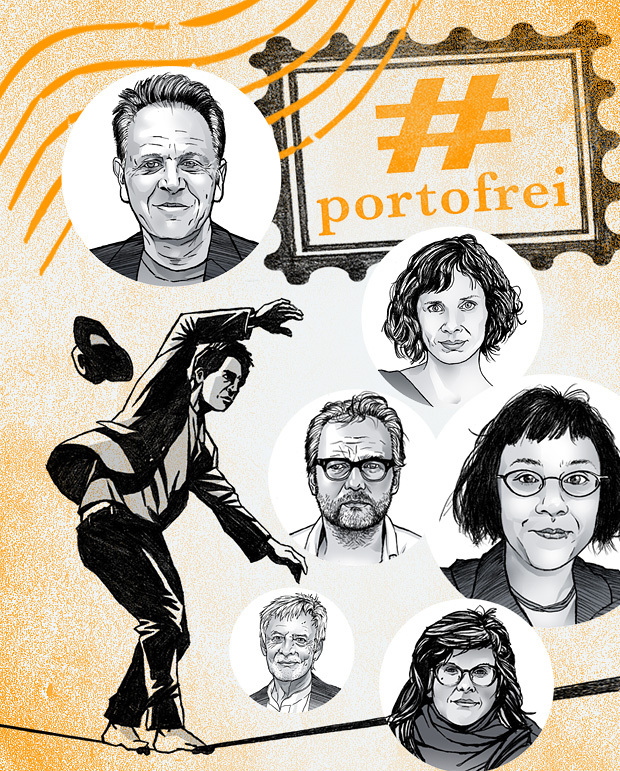 Redaktionelle Illustrationen im Auftrag des Goethe-Institutes für die Fortsetzung des Online-Debattenformates #portofrei. 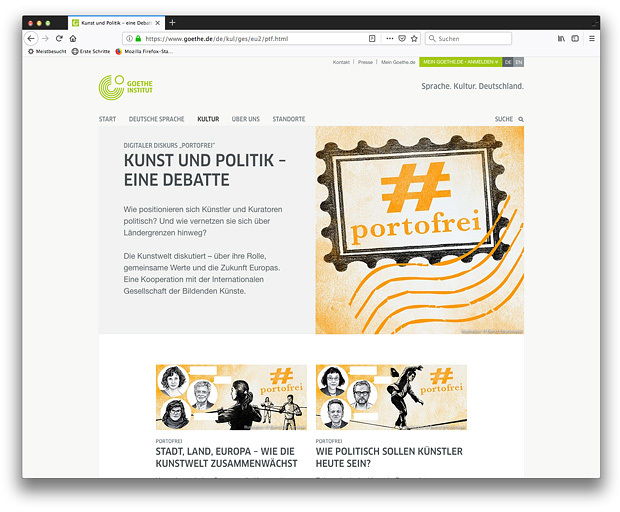 In Zusammenarbeit mit der Online-Redaktion entstanden illustrative Visuals zum Thema „Kunst und Politik – eine Debatte“. 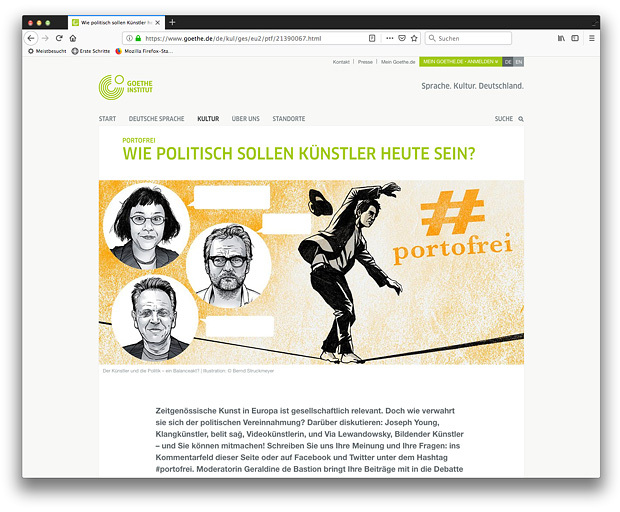 Editorial illustrations commissioned by the Goethe-Institut for the continuation of the online debate format #freepost. 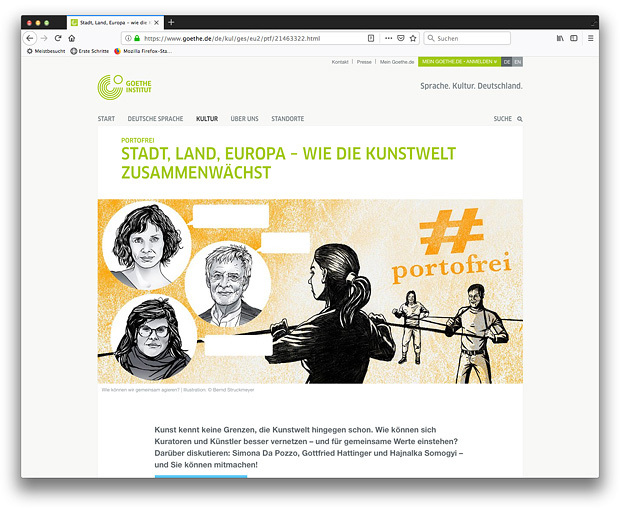 In cooperation with the online editorial staff, illustrative visuals on the subject „Arts and Politics – a debate“ were created.